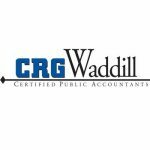 CRG Waddill, CPA, PC is a small CPA firm located in Brentwood, TN. They specialize in small business and individual tax planning and preparation, along with accounting and bookkeeping services. Work For CRG Waddill, CPA, PC? Claim This Page.